Denise Bassett, dressed in early 20th century attire, took a ride in a Brewster pedi-cab operated by Eric Johnson. Read the story and see the photos on pages 10 and 11. 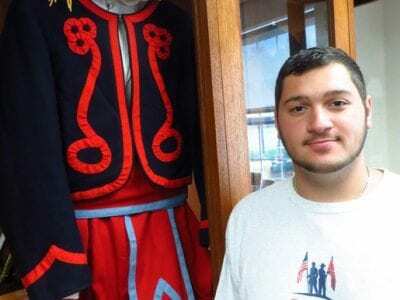 Photo by Eric GrossPhoto by Eric Gross … Please login below or purchase a subscription to the Putnam County Courier to access this content. County Executive MaryEllen Odell has asked Putnam residents to “Stand up for America” by attending a gathering Sunday morning at 10 o’clock on the shores of Lake Gleneida in downtown Carmel. 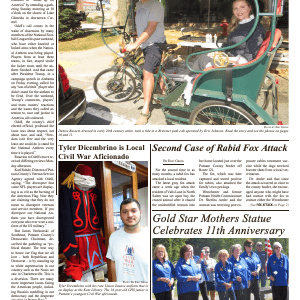 Odell’s call comes in the wake of dissension by many member… Please login below or purchase a subscription to the Putnam County Courier to access this content. Members of American Legion and VFW Ladies Auxiliaries attend the annual event. 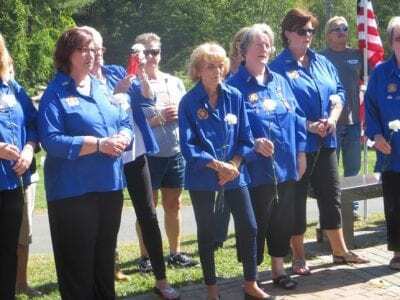 Photo by Eric GrossPutnam’s Gold Star Mothers statue, the first of its kind in the United States, was the centerpiece Sunday for a ceremony as America celebrated Gold Star… Please login below or purchase a subscription to the Putnam County Courier to access this content. Almost Time For The Halloween Decorations! Sept-Oct Reading Puppies on Thursdays at Patterson Lib. More info: 845-878-6121 x10, pattersonlibrary.org Sept-Nov Various Story Times at Patterson Lib. 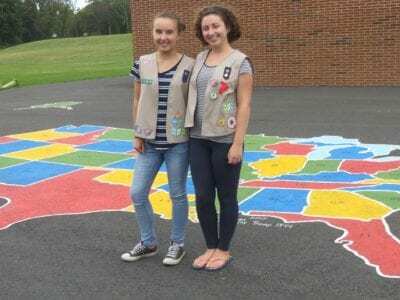 More info: 845-878-6121 x10, pattersonlibrary.org Sep 7-Oct 12 (Thursdays)- 10am-12pm Beginning P… Please login below or purchase a subscription to the Putnam County Courier to access this content. Keith Stagg of Mahopac and his physical therapist Francesca DeSimone attend last week’s awards ceremony. Photo by George MatteiKeith Stagg suffered severe trauma in a grim motorcycle crash, but due to his determination and drive, along with outstandi… Please login below or purchase a subscription to the Putnam County Courier to access this content. Dear Editor: Thank you to the Putnam County Courier for their comprehensive coverage of the 9/11 Candlelight Vigil at Cornerstone Park and to the organizers of this moving remembrance. The ceremony touched every point with the deserved gravity and so… Please login below or purchase a subscription to the Putnam County Courier to access this content.